American Iron. 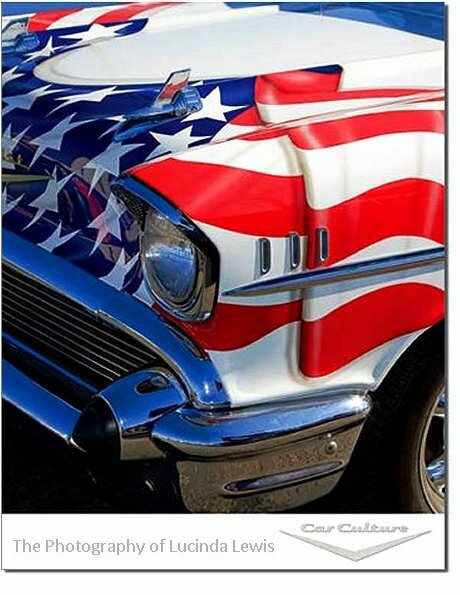 This beautiful photo of a classic American car, clad in The Stars and Stripes, makes a great decoration for the garage, office or den of your favotite gearhead. Tin signs also make a great gift idea for any American automotive nostalgia collector. This is a metal sign, made in the U.S.A. Measures 12.5 inches wide by 16 inches high. UPC: 6-05279-11588-4 | Part No. 1588. Ask a question about "Car Culture - American Iron" by Lucinda Lewis Tin Sign.